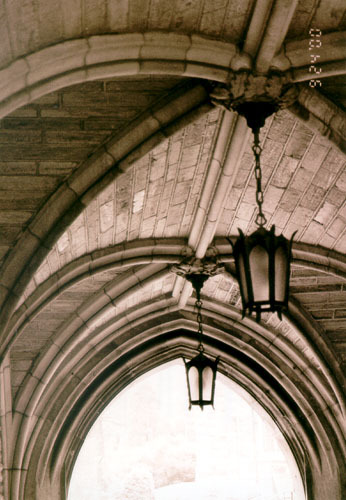 Type of Structure: Gothic-Revival Collegiate Building. Interesting Features: The 150ft Gothic tower. It was built with gargoyle-like drains that aren't gargoyles. 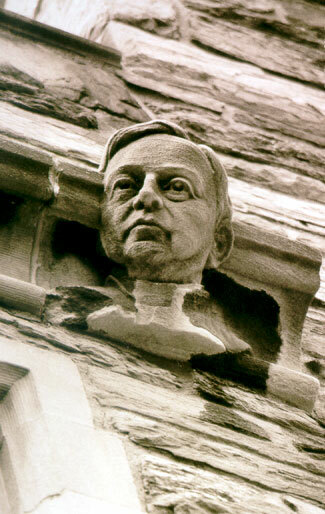 This is a little puzzling since many gargoyles and grotesques can be found around the building. It was originally called College Hall and was renamed Barbaelin Hall during the 1960s. 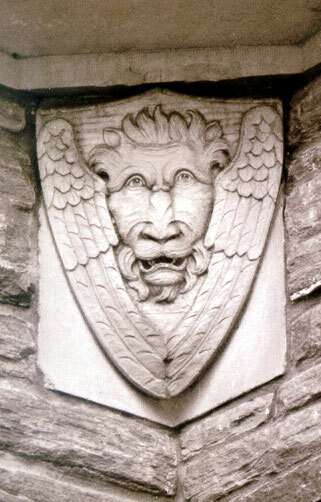 Personal Observations: There are many gargoyles and grotesques to be found here (by the person(s) interested in looking for them. Most if not all of them have some significance to the university or to the popular culture at the time. Representations of Andy Gump (a cartoon hero of the 20s); Pan playing a saxiphone; a grotesque known as "Jerome"; a grotesque representing Chemistry; a mischievous student; and watchful professor; two or three "real" gargoyles; the head of William F. Clark; the head of Cornelius Gillespie; the head of Felix Barbelin; a grotesque representing Modern Art; a carving representing a reckless youth called "The Joy Ride".